If you’re in the market for a new truck, you’re going to love what the 2019 GMC Canyon has to offer. If you’re not familiar with this model there are a few key items to become familiar with. First and foremost, the MSRP is $21,400, which is significantly lower than that of its competitors. If you’re looking for an excellent deal on your next truck, the 2019 GMC Canyon is the way to go. Typically, when purchasing a vehicle with a significantly lower MSRP than that of its’ competitors, you’ll find that it’s lacking in quality or features. Well, thankfully for you, that’s simply not the case with the 2019 GMC Canyon. In fact, you’ll be absolutely blown away by the sheer amount of features and capabilities that come standard on this vehicle. Three of our favorite aspects are the power, the fuel economy, and the towing capacity. The 2019 GMC Canyon provides unsurpassed power that will absolutely change the way that you work and drive forever. Whether you’re planning to use this truck for work or pleasure, you’ll love the fact that you can easily navigate whatever terrain comes your way. If you’re interested in a vehicle with 308 horsepower, you’re going to love the 2019 GMC Canyon. The Canyon is perfect for getting the job done or simply toting around friends and family. If you’re looking for a vehicle that does it all, you’re going to want to look no further than the 2019 GMC Canyon. Although power isn’t typically regarded as highly as safety and fuel economy are when it comes to purchasing a vehicle, power is still immensely important to understand. If you’re looking to purchase a powerful truck without breaking the bank, the 2019 GMC Canyon is definitely the way to go. The 3.6L V6 Engine will surprise you with the way that it easily handles the roads and even in difficult terrain. Gone are the days where you have to “white knuckle” on the steering wheel while driving over ice and snow as the electronic traction control feature will kick in and keep you safe and in control. The 2019 GMC Canyon is definitely a truck that you’ll want to consider this year. Furthermore, the fuel economy on the 2019 GMC Canyon is absolutely astounding. The fuel economy on this vehicle is comparable with that of a compact vehicle, which is unheard of for vehicles of the Canyon’s size. This vehicle will get 20 MPG in the city and 30 MPG on the highway. These specs are absolutely incredible for those who don’t want to spend copious amounts of time at the gas pump. Additionally, the fuel economy is also important due to the fact that it’ll allow your gas money to travel further than it would if you selected another truck. Due to the fact that this truck has excellent fuel economy, you’ll be able to drive smarter and happier each and every day. If you’re looking for a truck to take on a road trip, the 2019 GMC Canyon is definitely a truck that would be up for the challenge. In addition to providing exemplary power features and fuel economy, the 2019 GMC Canyon provides a towing capacity that will allow you to take your adventures anywhere. Whether you’re looking to use the trailering hitch for work or pleasure, you’ll love the fact that you are able to tow up to 7,700 lbs. This is impressive to say the least, especially for someone who is just stepping into the world of trucks. If you’re looking for a truck that will be able to handle whatever you throw its way, the 2019 GMC Canyon is definitely the truck for you. You’ll constantly be amazed by the fact that the Canyon is exceeding your expectations. Whether you’re looking to use it on the job site or simply to tote your boat to and from the landing, you’ll be happy that you selected the 2019 GMC Canyon. Arguably, power is not as important as safety or the MSRP of a vehicle. However, it’s still vitally important to know and understand what your vehicle will be capable of. Especially if you’re looking to purchase your next truck to complete tasks at work. Don’t be hindered by the limitations of some trucks - purchase the 2019 GMC Canyon and bypass all the limitations that stand in your way. You’ll be absolutely thrilled by the fact that the electronic traction control keeps you safe in difficult terrain. Furthermore, the 8-speed automatic transmission is sure to impress. Whether you’re interested in the power features to ensure that you’ll be able to handle difficult terrain or to provide a peace of mind knowing that you’ll be able to traverse almost any obstacle, you’ll be happy with what the 2019 GMC Canyon has to offer. 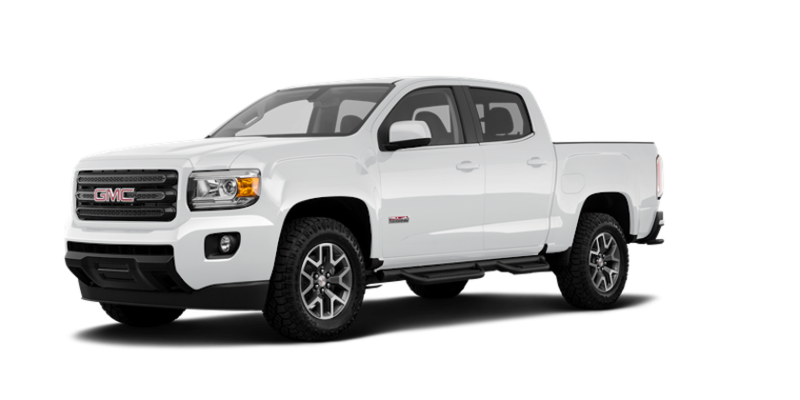 Although it’s fairly common for trucks to contain a powerful engine or transmission, it’s uncommon for a vehicle with a similar MSRP to the GMC Canyon’s to be so powerful. However, with this vehicle, you get the absolute greatest features and specs at an extremely affordable price point. If you’re interested in driving a truck that has 308 horsepower without overpaying each month, it’s time to see what the 2019 GMC Canyon has to offer. Furthermore, if you’re looking for a truck that will exceed your expectations in every way possible, the 2019 GMC Canyon is definitely the truck for you. When it comes to trucks, typically you won’t find that they are very efficient on fuel. In fact, many customers lovingly refer to trucks as “gas guzzlers.” These customers are typically not wrong. However, the 2019 GMC Canyon definitely does not belong to the “gas guzzler” category. When paired with the Duramax 2.8L Turbo Diesel engine, this truck will get 20 MPG in the city and 30 MPG on the highway. This is extremely impressive and will be sure to provide you with a whole new outlook on what it means to drive a truck. The maximum cruising range in the city is 357 miles and the maximum cruising range on the highway is 504 miles. Both of these specs will mean that you spend more time on the road and less time at the gas pump. Although there are definitely more important specs to consider when purchasing a vehicle, the fuel economy is definitely among the top 5. This is simply due to the fact that the fuel economy will have the greatest impact on your day-to-day life. When purchasing a truck, you’re going to want to ensure that you’ll be able to tow whatever it is that you need to tow. Whether you’re looking to tow items at work or tow your camper behind you on your next adventure, you’re going to want to know and understand the towing capacity prior to purchasing the vehicle. If you’re looking to use your next truck for towing, you’ll be in good shape if you decide to purchase the 2019 GMC Canyon. This truck can tow an impressive 7,700 pounds, which is both impressive and amazing. You’ll never have to worry about whether or not your truck will be able to handle towing whatever it is that you need to be towed. In fact, you can have the peace of mind knowing that your truck will be able to handle whatever it is that you throw its way. If you’re looking for a truck that can handle it all, it’s time to check out the 2019 GMC Canyon. 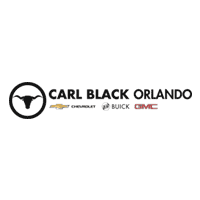 Carl Black Orlando is a dealership that operates under the mindset that the customer is the number one priority. With that being said, we believe that the customer is important and they value each and every customer who walks through the door. The staff at Carl Black Orlando is comprised of experienced and friendly professionals who are ready to assist you with whatever it is that you need. Whether you’re looking for some clarifying information, or you’re ready to purchase your vehicle today, we’ll be able to assist you with every step. In addition to providing unparalleled customer service, we will also amaze you with the fact that we provide an extensive inventory of vehicles, all priced competitively. If you’re local to the Orlando area, it’s about time that you see what Carl Black can do for you. We will impress you from the moment you walk through the door, until the moment you drive off the lot in your new vehicle. Don’t believe us? Give us a chance to prove their superiority to you, you won’t be disappointed.